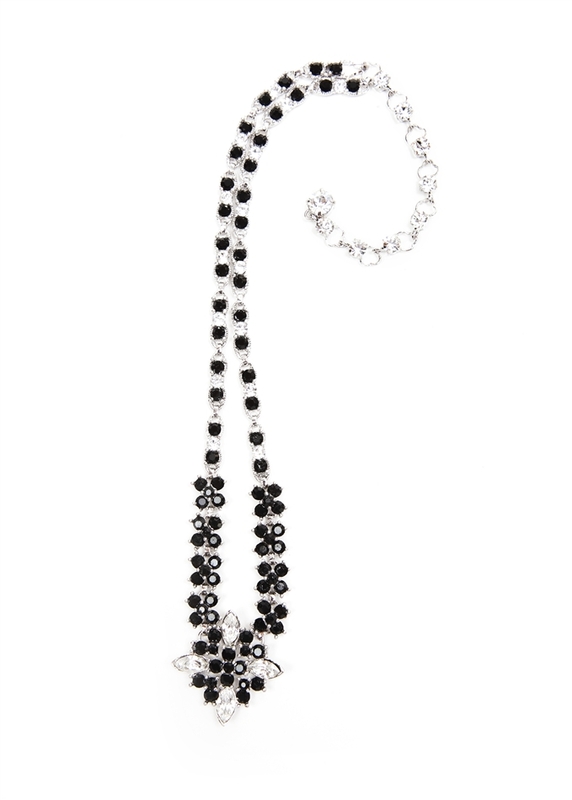 The striking contrast of clear and black crystal are used to update our antique inspired statement necklace. 18" necklace with 2" extender. Perfect for any occasion.